Last year I had the opportunity to attend the NAPO conference. While I was there, I met organizing and productivity professionals from many different places. Some of these professionals are NAPO members, others are members of associations in their own countries. It was very interesting to discuss perspectives on organizing and productivity with people from all over the world. Here is what I learned. Ingrid Jansen from the Association of Professional Declutterers and Organisers (APDO) in the United Kingdom, informed me that while their association was formed in 2004, many people are very private and still reluctant to hire an organizer. However, now it is becoming more accepted and organizers are being recognized for the value that they bring to their clients. In many cases, adult children no longer live in the same area as their aging parents and organizers are called in to help people downsize. It is beneficial for families to have an impartial advisor when making decisions about possessions. 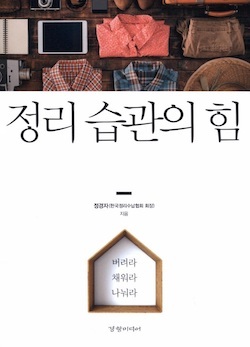 In the Republic of Korea, the Korea Association of Professional Organizers (KAPO) have a great philosophy — they promote Freedom of Emptying, Corrective Filling, and Joy of Sharing. In Korea, organizing and productivity professionals are recognized more and more as a valuable resource in restoring work-life balance. Organizers help their clients build their “clean muscle” so the clients are able to organize on their own. 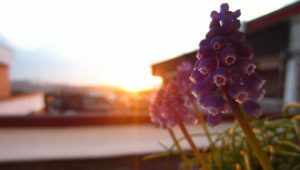 They teach their clients to think like “space gardeners.” Just like a gardener routinely extracts weeds from a flowerbed to keep the plants flourishing, we must keep our homes uncluttered by removing items that are not used. Additionally, KAPO’s professional organizer training program requires members to volunteer their services to sectors of the population that normally would not be able to afford professional organizing services. Isabelle Lamy is an APDO member originally from France. She indicated that many of her clients do not know where or how to dispose of items. Charity shops may not accept certain goods and municipalities may not accept them into their waste streams. Professional organizers can help because they have built a network of charities and business that accept items for donation or disposal. Professional organizers research storage solutions and can provide best options for your space. It is great that many people have the “do-it-yourself” attitude and but they can save themselves much time, effort, and money by consulting with a professional organizer for advice. Japan Association of Life Organizers (JALO) was founded in order to help people in Japan to improve their social lives, to be healthier as well as to create better and higher quality living spaces. Their president, Mayumi Takahara, indicated that the minimalist movement is building. Younger people especially have realized that shopping is not a solution to their problems and they want to clear space in their homes for a more meaningful life. Marie Kondo’s book is very popular and clients request assistance in the Kondo method of organizing. I spoke with many organizers from around the world who are also members of the Institute for Challenging Disorganization (ICD). These organizers are specialists in helping clients who chronically disorganized or facing other organizational challenges such as hoarding. Most of us think of uncluttering and organizing as something we do with the stuff in our kitchens and closets but organizers help their clients with technology as well — from uncluttering and arranging computer files to digitizing family photos. They can also recommend apps and websites to keep their clients productive whether at home or at work. 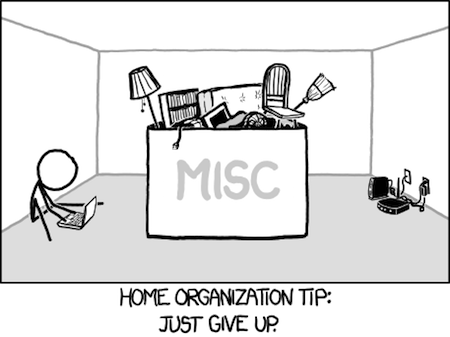 It would appear that people everywhere need assistance with uncluttering and organizing — at least some of the time. For those do-it-yourselfers, we at Unclutterer have over 1000 posts with organizing tips, almost 900 on home organization, well over 300 on office organizing and over 200 on time management. For those needing a little more assistance, consider hiring a professional organizer for a consultation. Walk straight to your washing machine. Take dirty clothes out of suitcase, put them into the washing machine, and start the laundry. Put clothes that need to go to the dry cleaners into designated dry cleaning bag. 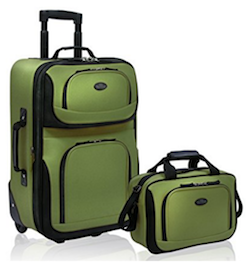 Carry suitcase to closet and put away shoes, belts, and other items that didn’t need to be washed but belong in closet. Repeat step #4, but with items that belong in the bathroom. Look at self in mirror and give yourself a thumb’s up for being unpacked only five minutes after returning home. Put suitcase away in closet. Okay, I’ll admit, this list is a little silly. I think the point of the post is clear, though: Unpack your suitcase immediately after you return from a trip so that it won’t sit around cluttering up your space. One of the reasons clutter accumulates is our unwillingness to throw things away — or difficulty identifying what should stay and what should go. To get you started, here’s a quick list that you can use in almost any room of the house or even at work. First, find things that no longer work. This would likely include pens, batteries, remote controls, paperclips that are bent out of shape, or that items that have been in the “someday repair” pile for weeks or months. Gather them up and toss/recycle as necessary. You can also dispose of anything that has expired. In the kitchen you might find expired condiments, cereal, crackers, etc. Check out StillTasty.com to learn more about how long food items last. Plastic storage containers with no lids (I promise, you’ll never find the lids) should get recycled as well. Plastic cutlery can go too unless you eat on the go regularly. There are plenty of toss-able items in the closet, too. Mismatched socks are prime examples. You might find the missing mates, so put a small container in the closet and use it to collect the stray socks. If their partners don’t show up within a month, say goodbye to those orphaned socks. The accessories you never wear can be donated. Shoes that no longer fit can be donated here. Takeout menus if you have not ordered from that restaurant within the past month. Old prescriptions and medications. See our post on how to dispose of these items here. Old cosmetics including sunblock as its effectiveness decreases over time. Old magazines and newspapers. See our tips on how to effectively do that here. Have fun getting rid of this unnecessary clutter. Fifteen year ago I started my organizing business. After three years of helping people clear the clutter out of their lives enough to see what they really wanted in life, I realized I had cleared out so much clutter in my own life that I could see that Toronto was no longer my home. I followed a childhood dream of living in southern Europe and more than a decade later I am still living that dream. During the past ten years, however, I’ve learned as well that not everyone comes from the privileged place that I did and cannot always follow their dreams, no matter how clearly they see that dream. Family, health, or economics may impede achieving or even acknowledging that deeply secret desire. I made a life-altering change when I cleared the space to allow the dream to reveal itself. Not everyone needs that. Sometimes, clearing mental, emotional, and physical clutter reveals that you are in fact living the life you want and no extreme changes are necessary. Professional organizing as a profession is just beginning to appear here in Spain and people wonder, over and over again, just what it is. Some people have called it a form of interior decorating mixed with psychology. Others believe it is a type of coaching. And yet others call it “selling smoke” — an expression in Spanish that would best translate into English as “snake oil salesmen,” modern day charlatans selling cure-alls. When people ask me, however, I tell them that at a deep level, professional organizing helps people reduce what they don’t need, figure out what they really want, then determine how to get it and maintain it. If you look at every single article here on Unclutterer, you’ll see that even the most practical “let’s clean out under the kitchen sink” articles focus on one of those three principles, in the case of the kitchen sink specifically helping you save time and energy when it comes to cleaning so that you have more time and more energy for what’s important to you. This is why there is no one way when it comes to organizing, and why there is such a proliferation of books, manuals, and methodologies. We are each looking for a way to streamline our lives down to what will make us glide through life without scraping against everyone and everything we pass by. Whether that’s with a 5000 sq. ft. house full of knick-knacks or a 50 sq. ft. apartment with just the bare minimum. If you can’t answer it, you have some more uncluttering to do. Go find that book, that article, that professional organizer that will help you clear away layers until you have the answer to that question. And if you know the answer, determine what you need to get there, including what help and how much streamlining is left for you to do. Then stop reading, stop planning, stop consulting and go fulfill your dream to the best your circumstances allow. Years ago, when I was in my first year of teaching, I was in constant fear of getting sick. Kids would cough near me in the hallway, and I would rush to my desk to apply hand sanitizer. I wasn’t afraid of germs, instead I was afraid of missing work. Missing a day of school for a teacher is actually a lot of work. If you’re a decent teacher, you prepare lesson plans so that teaching and learning can still take place in your absence. Getting ready for a substitute teacher can take a good chunk of time, and doing this while running a 101 degree fever isn’t fun. I poured out my fears of getting sick one afternoon to a veteran teacher and she offered me advice that has proven to be valuable even in my professional life since teaching. She suggested that at the end of the work day I do two things. First, I should clear my desk. Papers should be filed, my stapler stored in a drawer, coffee cup cleaned and returned to the kitchen, etc. Then, for my second task, I should make a stack of all of my photocopied handouts, materials, and lessons for the next day and put them where no one could miss them. By doing these two simple things, which usually took me no more than five minutes, I only had to call in my absence and then fall back to sleep. Even though I’ve been out of the classroom for years, I continue to follow this procedure. At the end of the work day, I clean off my desk and then I organize everything that I need for the next day. For example, if I were to have a morning meeting, I’d have my agendas photocopied and in a labeled folder at the center of my desk. This way, if I were to be stuck in traffic or sick and attend the meeting over the phone, it’s easy for someone else in the office to grab the agendas and pass them out in my absence. A clean desk and organized materials also are worthwhile if you do make it to work on time and healthy. This preparation allows you to hit the ground running when you arrive at work. Five to 10 minutes of organization at the end of the work day will have you on your best footing tomorrow morning. In a comment to my post about working hard, not a lot, Kenneth in Virginia asked what the information in the post meant for someone who like his father drove a truck for a living. It’s an excellent question, because to be honest, few of us have the luxury of choosing how much we work. Most jobs have a fixed schedule, and require a physical presence during that period. There’s no working better or faster to reduce the workload and no putting in extra hours to advance. A truck driver has to go from Point A to Point B, a cashier has to ring up purchases, and a factory worker has to run the machine for the entire eight hour shift. This is completely different from someone who works in an office and has projects to fulfill or objectives to achieve. The previous post was addressed to these latter people, and in looking around at the literature, most business organizing books focus almost exclusively on them as well. That doesn’t mean, however, that the former group can’t be organized or reduce their workload through efficiencies. My husband is a factory worker, and one of the most organized people I know. Over the years, I’ve seen him develop a sort of set of rules that help him in whatever position he has. Pay attention. Repetitive jobs can become mind-numbing, and if you’re not careful mistakes can start slipping in if you do not focus on each detail. You might choose the wrong lot of a product to add to a mixture. Or you might let quality slip, which may cause a serious problem for the company, with perhaps long-term negative consequences for you. Don’t make more work for others. In many time-based jobs, workers operate in a sort of vacuum. They may be part of a team, but only are aware of their own part of the process. Take for example someone who works in a supermarket in the meat section. Part of her job may be to add the labels to packages of meat for sale. If the label isn’t applied flat, the scanner at the checkout won’t read it and the cashier has to either enter the barcode in manually or call someone to come give him the correct code. Take your time, but not too much. The proverb haste not waste applies here. The best way to be organized and to make the time pass quickly in any job is to work consistently and carefully. No matter the pressure from above to work faster and produce more, sure and steady wins the race (to use another famous proverb). Speed produces errors which often means having to go back and doing it again. Or in the case of a truck driver, speed literally can kill you. On the other end of the spectrum, however, working more slowly than necessary relates back to the previous point: the less you work, the more someone else will have to. Now it’s your turn. Do you have any other “rules” to add to these three for shift-based work? If you work by hours, what tricks and tips can you offer others to make sure you are working efficiently and effectively? The more attuned I am to practicing simple living, the fewer places in my home have hidden corners of clutter. There are some places, though, where disorder thrives and I realize that I am completely okay with it. In fact, these areas serve as little humbling reminders that I am human and am far from perfect. Case in point: My sock drawer. Did I just hear you gasp? Are you completely horrified? Are the hairs standing up on the back of your neck as you compose an e-mail to me offering to organize my sock drawer for me? Take a deep breath and move your fingers off the keyboard. It is going to be okay. You should know that all of the other drawers in my dresser are beautifully organized (imagine the successful use of separators) and contain little to no disarray. It really is just my sock drawer that looks hideous. My husband’s sock drawer is ordered by type of sock (dress or sport) and color coordinated (a helpful activity for those who are color blind), which is strange since I’m the one who often folds and puts away his laundry. My sock drawer is messy, however, and the whole world has not collapsed around me. I’m mentioning my sock drawer because people can have the misconception that being organized means that every single minute aspect of one’s life is in pristine order. Order is a goal, yes — but so is sanity. Being organized and living simply is about removing distractions that get in the way of a remarkable life. Right now, my sock drawer is not a hindrance to the life I want to lead. Maybe one day it will be, and I will buy some dividers and establish order in my sock drawer. Until then, it is one of a small handful of places where disorder exists in my home, and that’s okay. Really, it is. Do you have a space where disorder reigns, but the whole of your organization system isn’t collapsing as a result? Feel welcome to tell us about it in the comments. Get it off your chest. You are, after all, only human. If you’re dealing with ADHD, you might appreciate books that provide organizing solutions tailored to those with attention deficit issues. ADD-Friendly Ways to Organize Your Life and Organizing Solutions for People with Attention Deficit Disorder are two that might give you some good ideas. If you have a chronic illness or disability, you may well be familiar with the Spoon Theory regarding the energy you have available for daily tasks. Some days you may not have any “spoons” available to tackle organizing work, and that’s to be expected. But hopefully you can establish systems that allow you to get and stay organized — perhaps with help from family, friends, support groups, or paid professionals — while minimizing the demands on your energy. All of us are likely to have times when our life situation means we’re not as organized as we normally are and like to be. You may be adjusting to a new job or hitting a particularly demanding time at an existing one. You may be dealing with a temporary medical issue: recovering from surgery, for example. In these and similar situations, it’s important to identify the organizing tasks which must be done, such as making sure the bills get paid. You can then let other things slide for a while, without feeling nervous or guilty. Judith Kolberg wrote, “Chronic disorganization is the result of the bad fit between people who organize unconventionally and the very conventional organizing methods which exist for them to use.” If you’ve been fighting disorganization for a long time, you might find some useful ideas in her book Conquering Chronic Disorganization. We’ve rented several different houses that had bathrooms with no storage space — just a pedestal sink, a toilet, and bathtub. Here are some storage solutions I’ve used over the past. We thought it was odd that one older house we lived in did not have a toilet roll holder already installed. Nor did it have a place to hang a towel by the sink. Rather than drill into the plaster/concrete walls, we opted for an over-the-tank toilet roll holder. We also installed a Command towel bar. 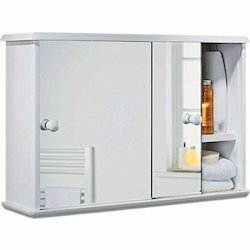 Command, the experts in damage-free hanging items, has a large selection of products for bathrooms such as a wall and cabinet organizer, hair dryer holder, accessory organizer, and soap dish. They are amazing products, especially for renters who may not want to drill holes in walls when moving in or fill holes and repaint when moving out. 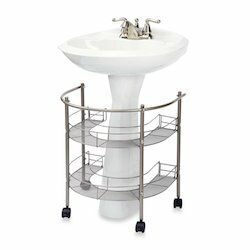 While we opted for a plastic rolling cart (similar to this one) for storage under our pedestal sink, a neighbour used pedestal sink shelves with a collection of little baskets to keep her things in order. I like this narrow cabinet with pull out shelves. It would be handy in a small space, but being made of wood, it would easily suffer from water damage if a toilet or sink overflowed. A standing corner shelf might be better option. I’m not a fan of storage over the toilet. I’ve had the misfortune of smacking my head on cupboard doors left open and losing my hairbrush and cosmetics in the toilet. Also, some cabinets are installed so low that they must be removed if the toilet has to be repaired. That being said, storage over the toilet can be a great space for items not accessed frequently such as extra towels, toilet paper, tissues, etc. Perhaps a cabinet with sliding doors would be a better option for this space. For more tips on bathroom organizing, check out our posts on towel management and storage as well as how to corral bath toys. I have written in the past about the ScanSnap, my favorite organization tool. Today, I want to talk about the item that runs a very close second on my favorite’s list, which is the labelmaker. I’m actually a little surprised that I haven’t written more about it on Unclutterer. Any storage box in my home that isn’t clear gets labeled. Same applies to every file folder in my filing cabinet, the recycling bins, containers in the bathroom, and about 1,000 other items in my home. Until I had one, I didn’t know what I was missing. Unfortunately, there isn’t much more to say about the labelmaker because it is such a straightforward device. Maybe its simplicity has something to do with why it’s so high on my list of favorite organization tools. Last weekend I donated several books to the local collection box. Most were titles I had lost interest in, and a few were duplicates (don’t ask how I got multiple copies of one book). When I came home I researched how to properly store the books, as I want the keepers to stay in good shape. Here’s what I found. When it comes to storing and preserving books, the two biggest enemies are humidity and pests. Moisture in the air encourages mold growth and that will damage books terribly. Additionally, don’t wrap books in plastic or store them in zipper seal plastic bags, as that also encourages mold growth. Books do best in a controlled climate. Areas where temperate and humidity fluctuate — like an attic, basement, or garage — will lead to damaged books. Places that are too humid can encourage mold growth, while a location that is too dry can make books brittle. Direct sunlight can fade the colors on covers and dust jackets. It is best to store books in the main living quarters of your house, where the temperate and humidity are relatively constant. Storing books upright on an open bookshelf makes them easily accessible but if books lean against each other or the sides of the bookshelf or are jam-packed on the shelves, the spines can become misaligned. Ensure you clean the books regularly. Attach a soft brush to your vacuum cleaner and set it to low suction to keep the books dust free. If you don’t have shelf space available, acid-free, lignin-free storage boxes are a viable option. Try to use small to medium in size ones so they won’t be too heavy. Never use boxes that previously stored food, as food odors can attract pests. Pack books flat in the box with the biggest books at the bottom. If you pack books vertically, always have the spine facing downwards to avoid stress on the binding. Fill any empty spaces with acid-free, lignin-free paper to keep the books from bumping into each other and possibly causing damage. For detailed information on book storage and preservation, see the Library of Congress website. I have this fantasy that, someday after I’m gone, my children will inherit my “library,” as humble as it is. When I was young, my grandfather converted one side of a hallway into a floor-to-ceiling bookshelf that I found fascinating. When he left us a few years ago, I took a few of the books I had always admired to be my own. I like to think that someday, my children (or grandchildren) will bring my old books into their homes. I mean to keep them in good condition until then. Before doing the quiz, I thought that perhaps I would end up being an Obliger, fulfilling others’ expectations but not my own, however it turns out that any obliging tendencies I may harbor have more to do with wanting to avoid a scolding than wanting to please people. This avoidance of negative reactions doesn’t just emerge when it comes to external expectations; I act the same way about my own inner expectations, getting things done to evade an internal scolding. Knowing this, I have to ask myself what having an inner teenager at the helm means for being productive and organized? Well, for one, to get myself moving, I have to see a benefit. A teenager doesn’t get out of bed unless there’s internal passion, or at least a decent reward of some kind for completing the task. A rebellious teenager’s favorite question is “why?” and teenagers also tend to reject history, thinking that they can invent and discover new ways of doing things that their elders (being old and slow) have never thought of. At work, I’ve always been able to channel this rebellious attitude into productive outcomes, looking for new and more effective ways to do things, rejecting “because that’s the way we’ve always done it” out of hand, only accepting traditional ways if they prove to be the most effective. In my personal life, however, I don’t look for new and productive ways of doing things. Instead my conflict-avoiding teenage attitude tends to rule over me and it can get me into trouble. I don’t communicate enough with my partner, either doing what I want without any sort of consultation or turning into a people-pleaser because I feel that doing anything else will end up in confrontation. Of course, what the teenager is not capable of understanding is that this avoidance strategy only creates more conflict in the end. I can’t force myself into any action or I will do the opposite. I need to know the benefits of any course of action. I need to remember that conflict avoidance just creates more conflict. The more I streamline processes, the more likely I will do them. 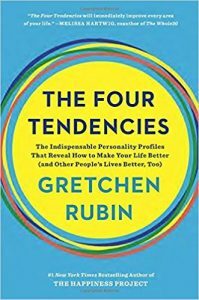 Have you taken Rubin’s Tendencies Quiz? Do you know yourself well enough to work with, rather against yourself?